I read this article and found it very interesting, thought it might be something for you. 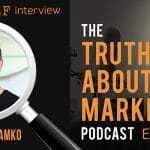 The article is called Ep 87: Allison Carpio – The Naked Truth About What Motivates Your Customer Avatars and is located at https://copychief.com/ep-87-allison-carpio/. 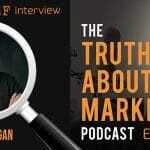 The old method of defining a SINGLE profile for your best customer is no longer a reality. That’s because modern society is way more diverse than it was even 10 years ago. These days we self-select our information, our entertainment, and our social cultures. That means we need to be just as distinct about our customer avatars. Allison Carpio is a cutting-edge marketing and copywriting “nerd” who mixes modern psychology and streetwise instincts to help you understand your new customer on a deeper level. 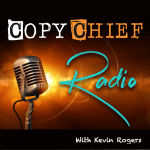 She stopped by Copy Chief Radio to share her latest research methods for uncovering the character profiles and “vicious cycles” of your best prospects so you can write more compelling copy that bonds you with your tribe. Allison pulls no punches to uncover the naked truth about what motivates your customer avatars, and how you can make sure your copy always hits the mark.